If your child can't see well, it's probable they won't perform as well as they could in their academics, and in every other area of their life. If you want to know if your child needs corrective lenses, you can follow the tips mentioned below. Just remember to take them to a certified ophthalmologist to get professionally tested. If your child has blurry vision, it's highly likely that they will squint . For that reason, you should pay attention to your child and notice if they partially close their eyes to see clearly, especially when reading. If your child makes a great effort to compensate for poor eyesight, they will strain them, and end up with tired, sensitive, watery, red eyes. If that's the case, have their vision checked. Blurry vision and the exhaustive job of correcting that issue may result in strong, constant headaches and even migraines. If your child complains of headaches regularly, they may need lenses. Having poor eyesight may affect the way your child behaves. 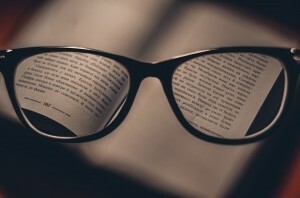 Being unable to understand what they read, closing one eye to see better, or sitting too close to the TV, may be signs of bad vision. Turn to The Tutoring Center, Navarre FL if your child is in need of extra assistance to become the best learner they can be. Call 850-939-5384 to enroll your child in one-on-one tutoring in Navarre FL, or to schedule a free diagnostic assessment.